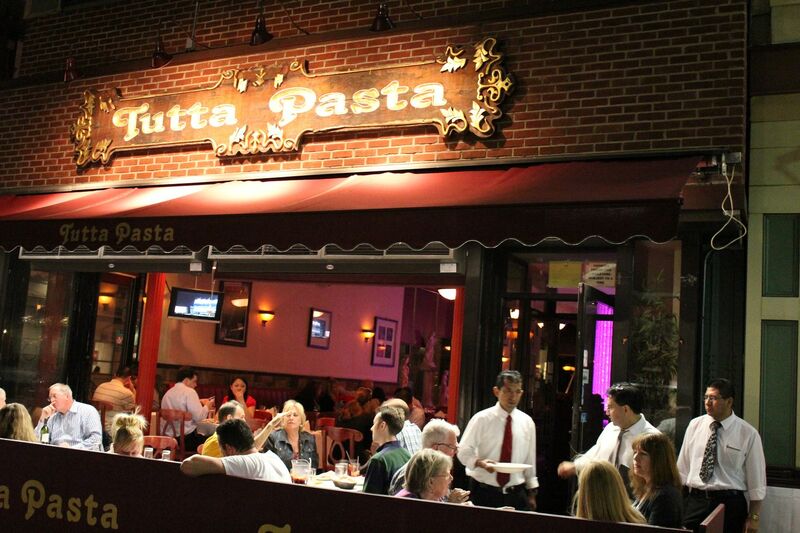 Step inside, Tutta Pasta any day of the week and you will find a neighborhood joint packed with Hoboken residents of all walks of life. It’s corner location adds to it’s mystique, and overall coziness. We made our way to, ‘Tutta’ on a weekday spring evening to grab a post-work meal and some spirits. 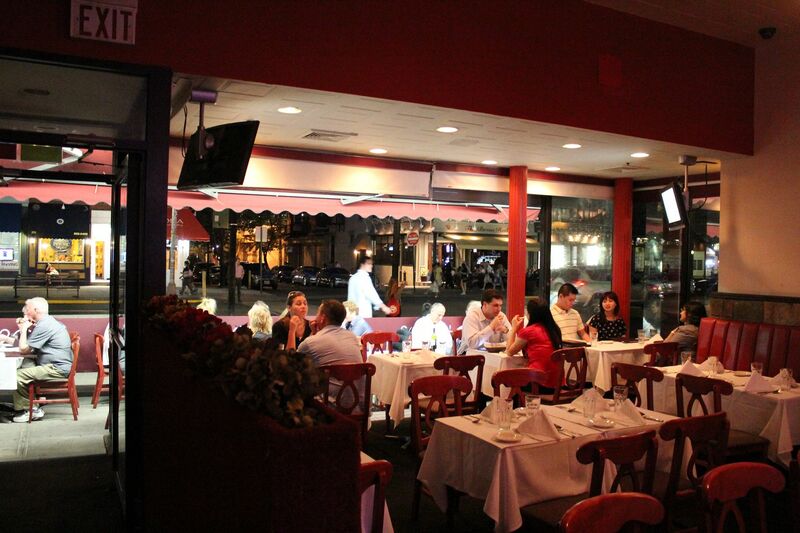 During the warmer months the Italian eatery features a sidewalk cafe that rivals many of it’s fellow restaurants, and even traditional bars. Diners clamored to have one of these converted seats in order to celebrate the coming warm weather with fine wine and even tastier pasta! The menu is a who’s who of Italian favorites. But, to start the meal off on the right foot our group ordered pints of Peroni, a delicious dry Italian beer that compliments a full meal, or simply enjoyed on it’s own. And in keeping with the dinner at hand we ordered glasses of the house red wine as well. Starting with Antipasti, we ordered the, ‘Mozzarella alla Caprese’ ($8.95). Each piece of cheese, and tomato were large and extremely flavorful. The basil complimented this starter dish with a bouquet of freshness. And to compliment my ale, I went for the meat heavy, ‘Lasagna di Carne’ ($14.95). The saltiness of the meat blended brilliantly with the dry Peroni, causing me to order repeat pints! Our waiter doubled as a bartender, expertly making his way to the overstocked and long bar to bring us beverages upon request. And for a place as busy as, ‘Tutta’ I give the wait staff, and manager a lot of credit to be able to wear many hats. 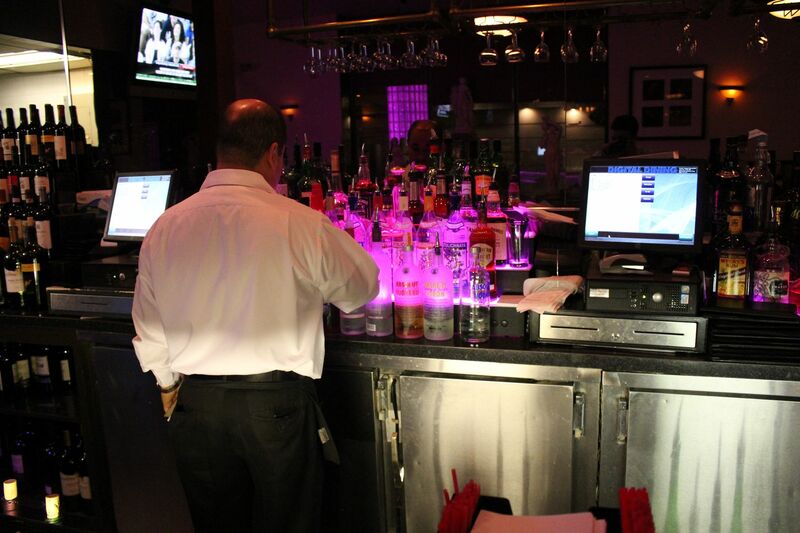 Preconceived notion – A popular Hoboken Italian restaurant that serves wine and beer. 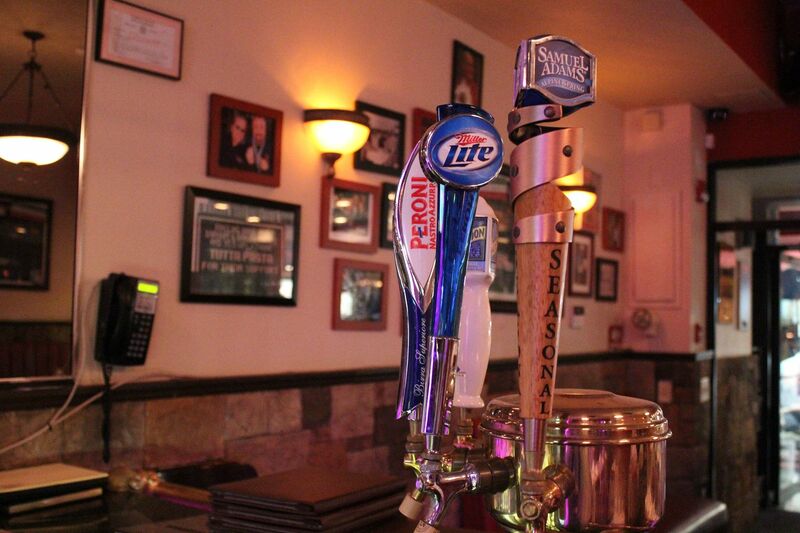 Bar Type – A classic Italian restaurant featuring a very well stocked bar, and drafts of beers such as Peroni. Crowd stereotype – twenty something’s on dates, and families. Music – No music that I could hear. 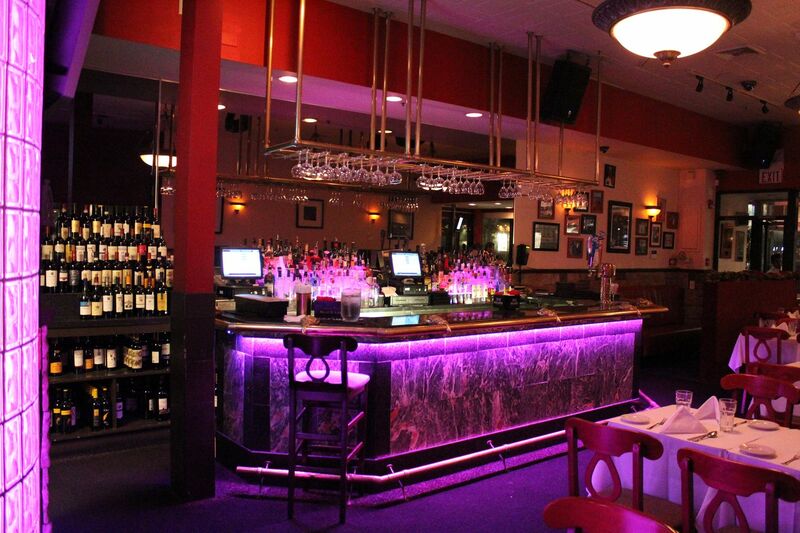 Value – Reasonably priced dishes and drinks for all budgets. Date – Tutta is a perfect place to take a first date, or your spouse of thirty years. Hookup – A kiss over pasta ala, ‘Lady and the Tramp’ sure! Dance – Save the dance moves for the club that is literally catty cornered to this place. Catch up with a friend – Yes! But you should also stay for dinner. First or last drink of the night – Start your night here with an authentic Italian dinner paired with some delicious wine!